Portland was very much an island of two halves today - pick the wrong one and you were in for real dud of a day but those that made the right choice were treated to the best fall of the spring to date. The Bill was the poor relation with a pea-soup fog seeing to it that birding was a largely fruitless enterprise; from Southwell northward, however, the sky was clearer and migrants made landfall in quantity. 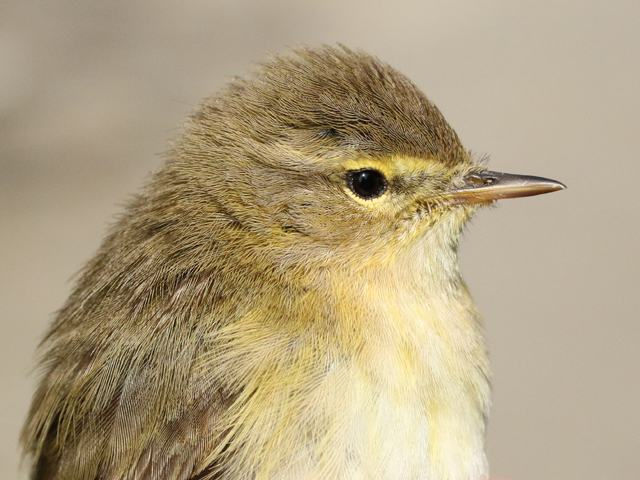 Widespread coverage of the usual up-island hotspots returned minimum totals of 300 Willow Warblers and 250 Blackcaps on the ground and some hundreds of hirundines, Meadow Pipits and finches through overhead; further variety included several dozen each of Wheatear, Whitethroat and Chiffchaff, 14 each of Redstart and Grasshopper Warbler, 3 Sedge Warblers, 2 Whinchats and singles of Swift, Reed Warbler, Lesser Whitethroat and Pied Flycatcher. 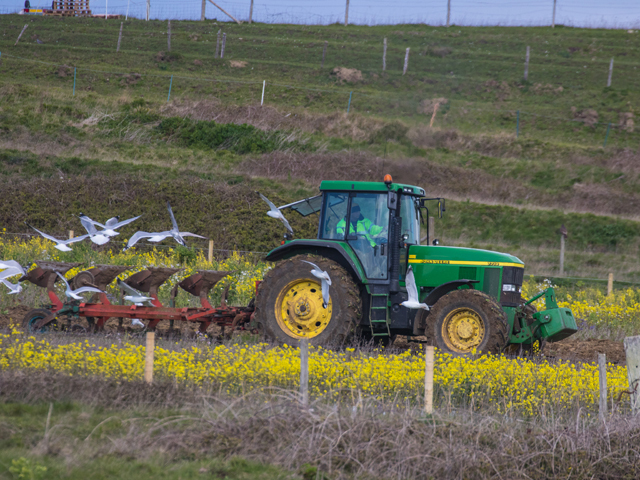 Despite the persistent damp throughout the morning there were still spring highlights to be had including the first Grasshopper Warblers (one in the nets, one at Blacknor, one at Suckthumb and one at the Verne). 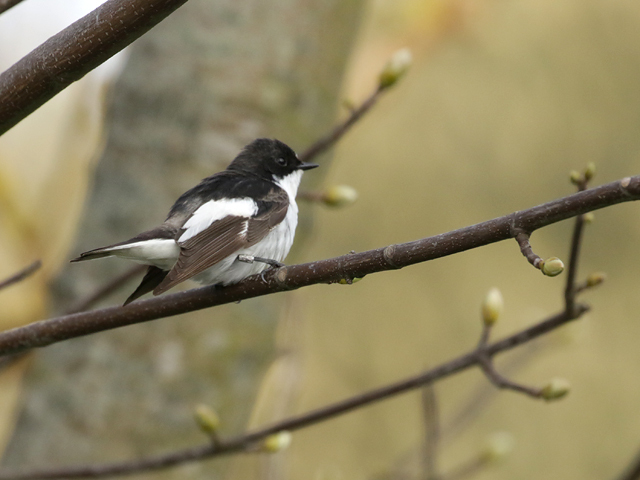 The third Pied Flycatcher of the year was at Suckthumb as well as one of the first two Sedge Warblers, the second being at the Obs. 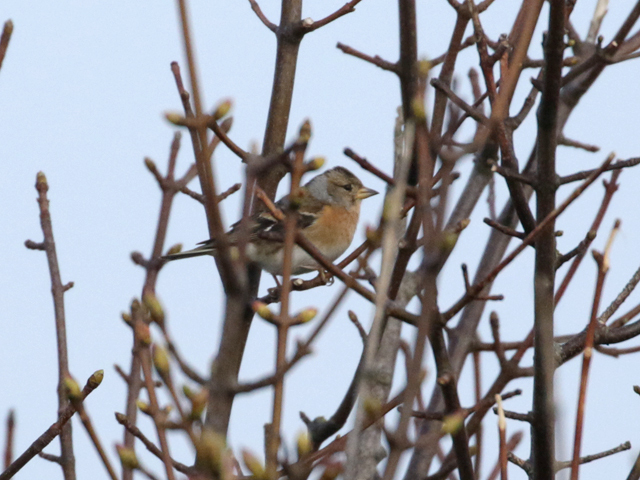 Other land-based migrants involved a smattering of the regular early April fare joined by a single Firecrest, a pair of Whitethroats and a trio of Tree Pipits. The sea was fairly quiet although 75 Manx Shearwater, seven Eider, six Arctic Skuas and a Pintail added some nice variety. Elsewhere on the island Suckthumb benefitted the most from the showery front which saw an influx of Phylloscs, Blackcaps, four Redstarts, a Pied Flycatcher and a Goldcrest as well as the aforementioned goodies. As the gelid wind continued to ravage the south coast, few but the toughest and most determined migrants made it through to Portland. 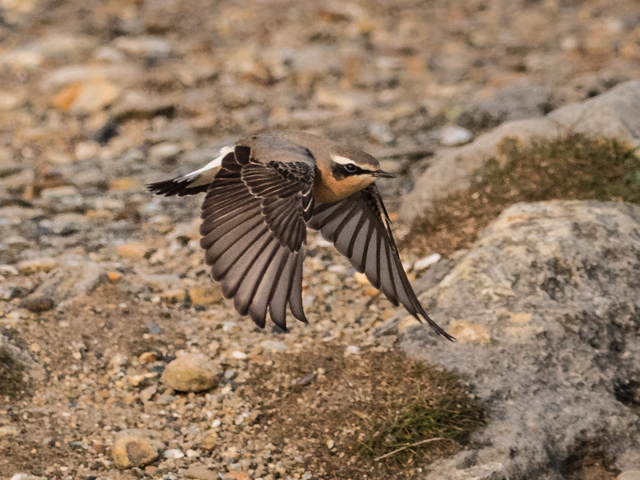 Of these, the most numerous birds were the Wheatears with a continual flow throughout the day amassing to over 65. 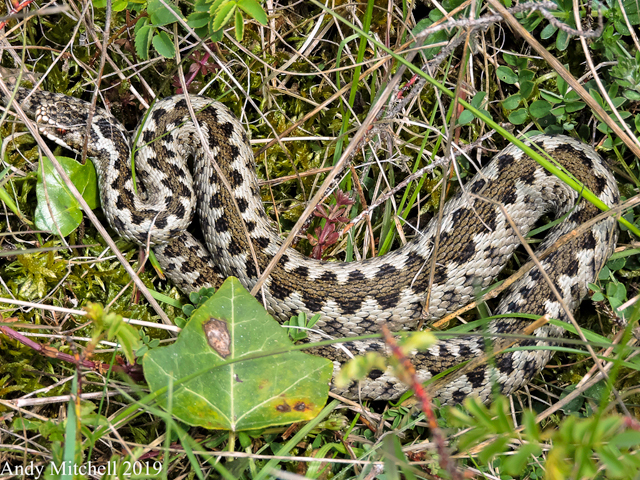 Other land-based movement was limited to a sparse passage of hirundines, a pair of Tree Pipits, and singles of Yellow Wagtail, Redstart and Hobby (past Blacknor). 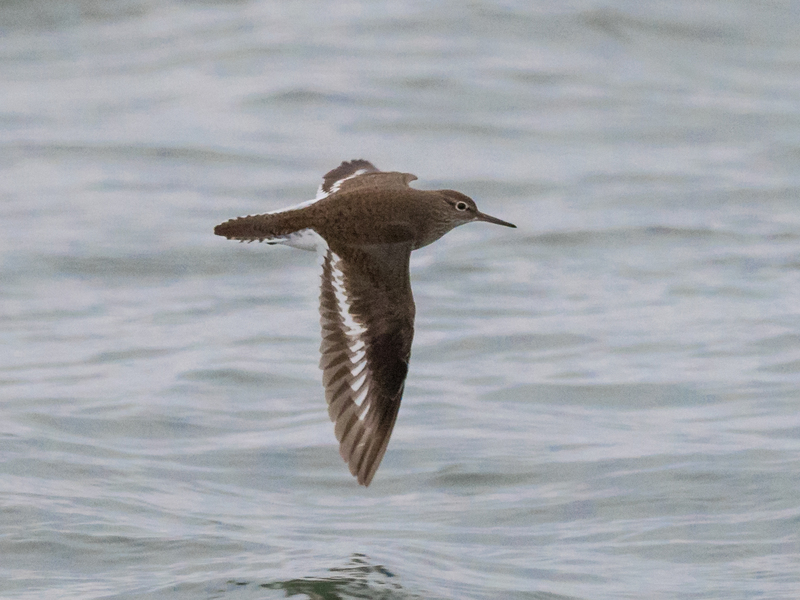 The sea provided much more variety than the land with the regular fare being accompanied by four Gadwall, three Arctic Skuas, and a pair of Whimbrel. However, the Bill sea-watch was very much out-done by Chesil Beach which added Little Egret, Merlin, Sparrowhawk, Arctic Tern, Common Gull, Curlew and Garganey to the day's tally. A true face-biter of a wind made for very uncomfortable birding today. The direction of said gale meant West Cliffs was the place to be for visible passage, with a 3.5 hour watch from dawn returning totals that included 446 Meadow Pipits, 325 Linnets, 152 Swallows, 93 Goldfinches, 91 House Martins, 35 Sand Martins, 6 Yellow Wagtails, 4 Tree Pipits and a Little Egret. 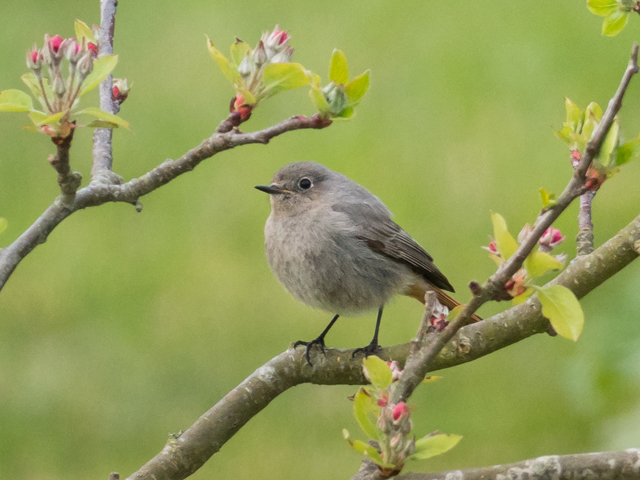 In the testing conditions it wasn't easy getting amongst the grounded arrivals but estimates from the Bill included 100 Willow Warblers and 70 Blackcaps amongst a scatter of other seasonable fare; elsewhere a Black Redstart was new in at Southwell. 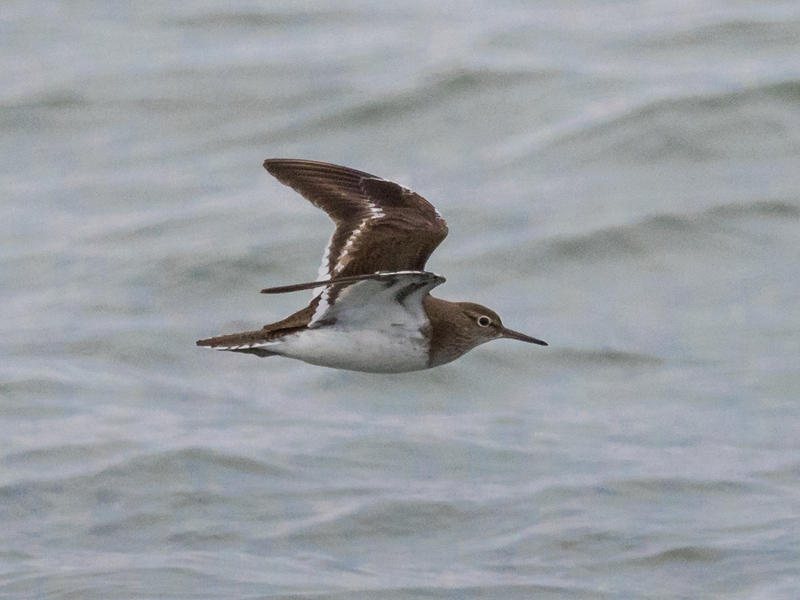 The sea was marginally more eventful than in recent days with 9 Arctic Skuas, 7 Whimbrel, 2 Velvet Scoter and a Bonxie the pick of the Bill totals; the first small push of Bar-tailed Godwits (23) passed by at Chesil where there was also a worthwhile total of 79 lingering Mediterranean Gulls. Another beautifully crisp and clear day, albeit with slightly less bite to the wind. 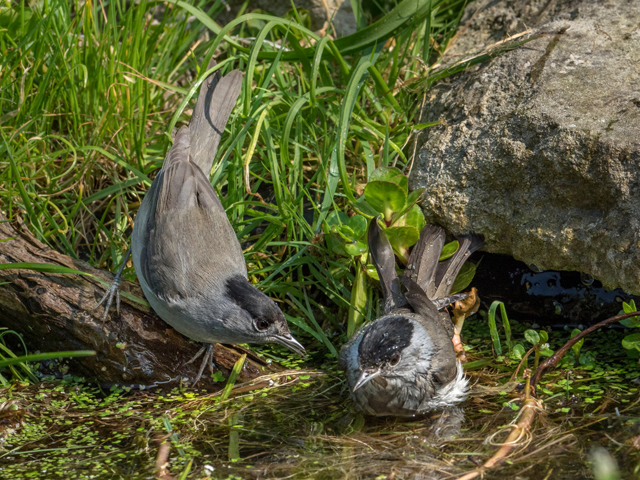 Once again migration seemed a tad stunted until a stalwart observer on the West Cliffs had a Red-rumped Swallow in amongst the trickle of hirundine passage. 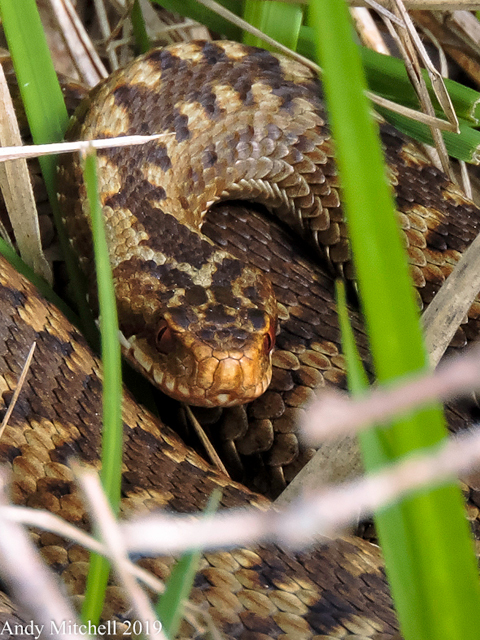 This really rescued the day totals as land-based migrants were limited to a semi-decent passage of Willow Warblers and Blackcaps, a Redwing, six Redstarts, three Yellow Wagtails and a Tree Pipit. 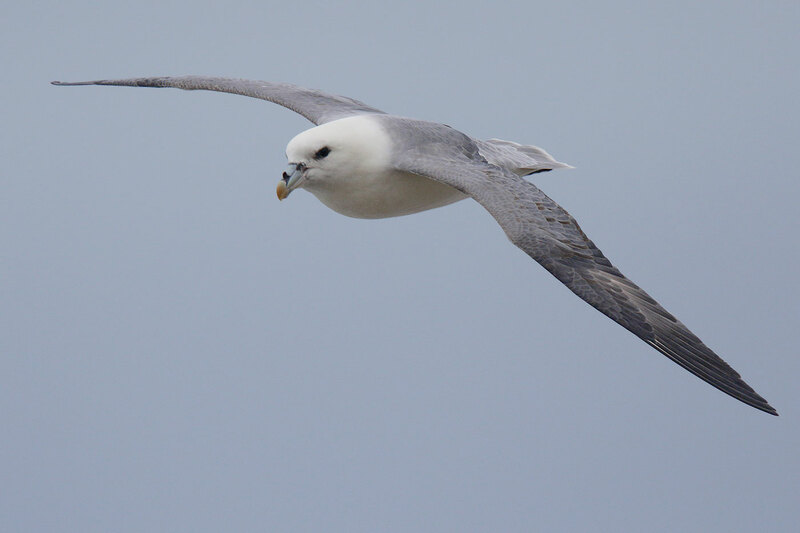 The sea was quiet again with little more than low numbers of the regular suspects accompanied by a lone Whimbrel and four Arctic Skuas. 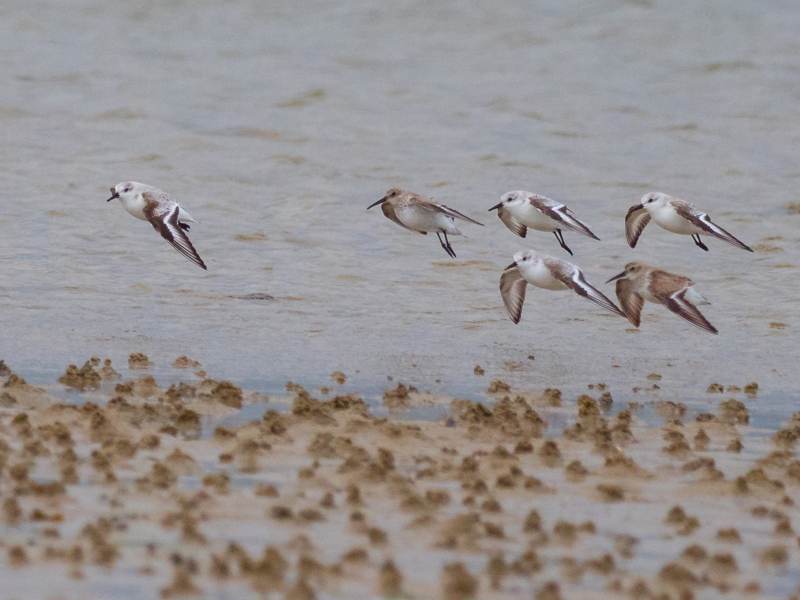 It wasn't only the Bill that was quiet, Ferrybridge only saw 17 Ringed Plover and four Dunlin. We were lucky enough to host Nick Hopper for the first time this year from the 8th-10th April. His sound recordings for those nights included: a Little Egret, Water Rail, Sandwich Tern, Fieldfare, 12 Redwings, three Song Thrush and three species of Owl. A stunning clear but, at least until well into the afternoon, surprisingly cold day saw migrant action at a premium - perhaps everything passed over during the hours of darkness although the paucity of visible passage by day hinted at there being a bit of a blockage to the south. 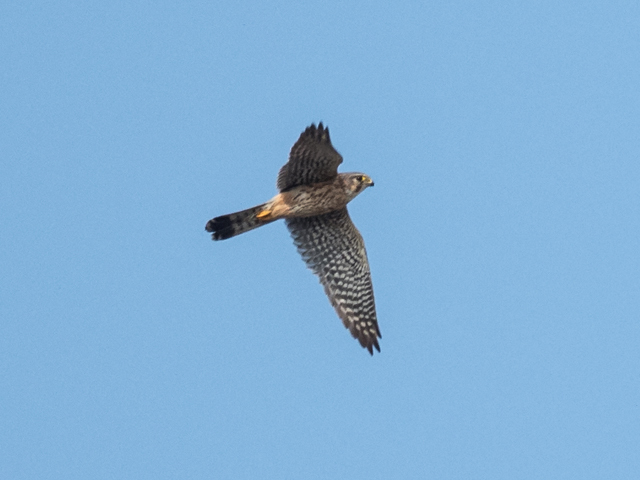 The clear sky was well scanned for raptors, with both Red Kite (still a good bird for Portland) and Hobby (2 singles) logged. Migrant variety on the ground, overhead and on the sea otherwise amounted to little more than a low-key smattering of the usual suspects, amongst which 2 each of Red-throated Diver and Yellow Wagtail were about as good as it got at the Bill, where 5 Purple Sandpipers and 2 Short-eared Owls were also still lingering on. A mixed bag as far as the weather and the birding went, variety with no numbers. Highlights included the second Pied Flycatcher of the year, a pair of Ring Ouzels and another brief appearance by a Serin, whilst tardy fly-bys included a Redwing and a pair of Fieldfares. 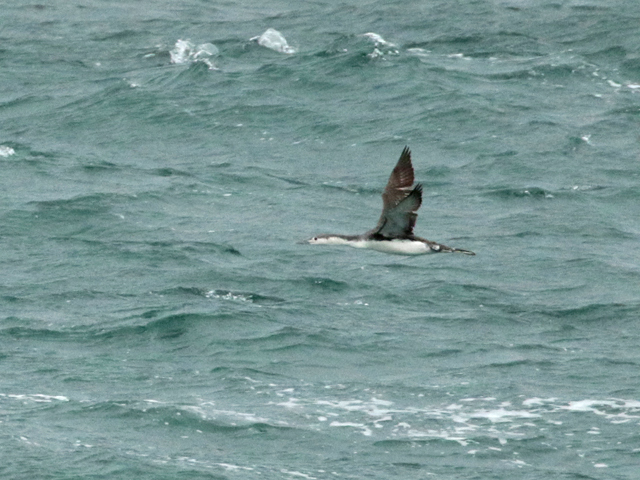 The sea fared much the same as the land with species including Red-breasted Merganser, Puffin, Arctic Skua, and Bonxie along side the regulars, but all in low numbers. 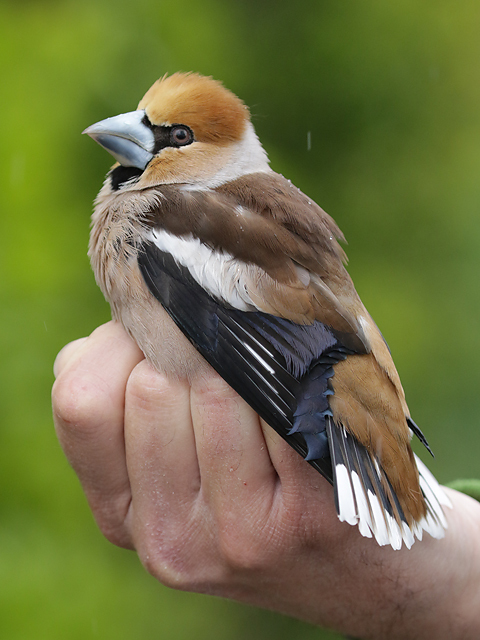 The cloud cover that lingered for the early morning led to a nice little rush to begin the day with the majority of the 105 birds ringed today caught within the first couple of hours. 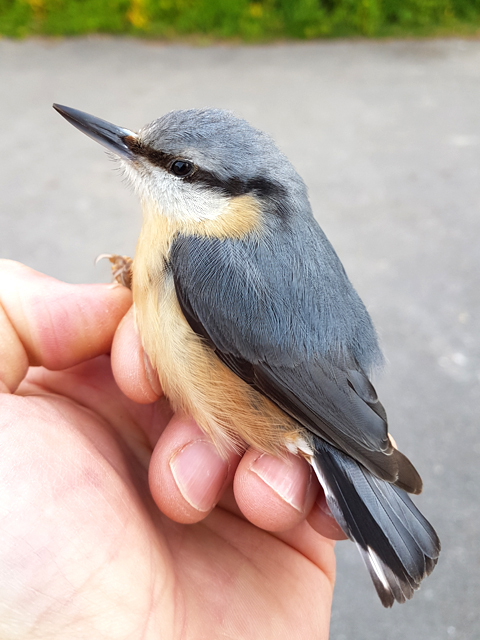 Although the influx was dominated by Willow Warblers, it also brought with it Portland's tenth Nuthatch and the fifth to be ringed. A late incomer for the runner-up bird of the day came from a singing Serin in a garden in Southwell. 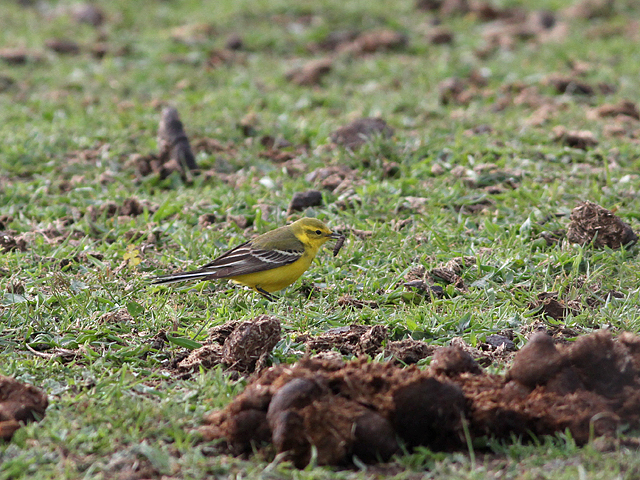 The trickle of less common wagtails and pipits continued with three Yellow Wagtails, a handful of White Wagtails and a Tree Pipit. The sea gave an awful lot of quantity if not a great variety with the days total of Common Scoter falling just short of 500 at 492. Also on the sea were a pair of Puffins, ten each of Red-throated Diver and Manx Shearwater and an Arctic Skua. 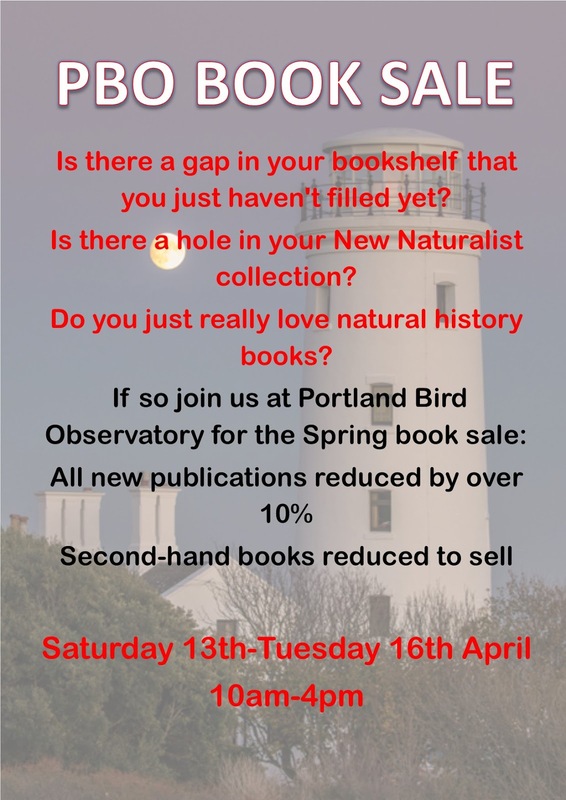 A reminder that our big Spring book sale is happening this weekend! A thick, heavy fog coated the south end of the island for most of the morning delaying sea-watching. 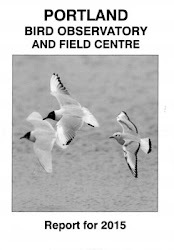 However, once this had cleared totals for the land-based migrants increased including the first multiple records for Tree Pipit and Yellow Wagtail as well as multiples of Redstart and Ring Ouzel. The eventual sunshine also brought with it a small passage of Meadow Pipits, Swallows and House Martins up the West Cliffs as well as Chiffchaffs and Willow Warblers into the garden. 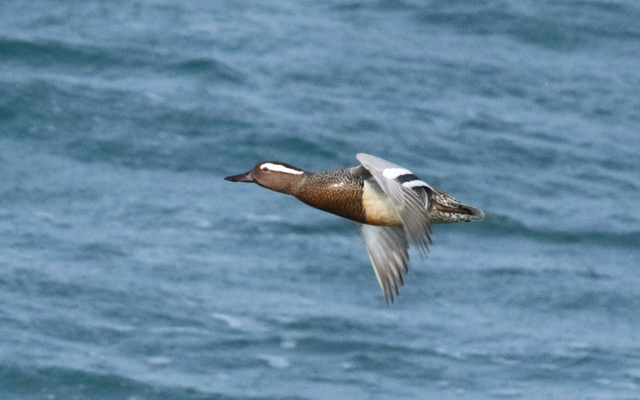 Highlights from the sea included 82 Common Scoter, 7 Arctic Skuas, a Puffin, a Shelduck and three species of Diver. Elsewhere on Portland, the Chesil Beach sea watch added Slavonian Grebe, Whimbrel and Black-headed Gull to the sea-watch species total. The day started cloudy and cold leading to a reduction in the passage we saw yesterday. However the phylloscs were present in higher numbers keeping our ringers happy. 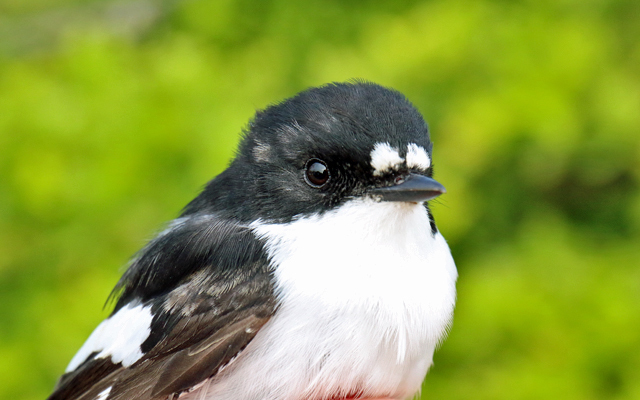 The highlight from the garden was the first Pied Flycatcher of the year, a fully-grown male. 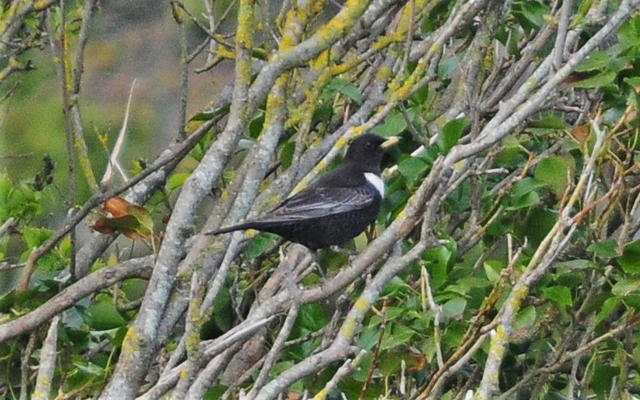 Other than this, land-based migrants included a pair of Ring Ouzels, a pair of Redstarts, 23 Wheatears, and a Merlin. 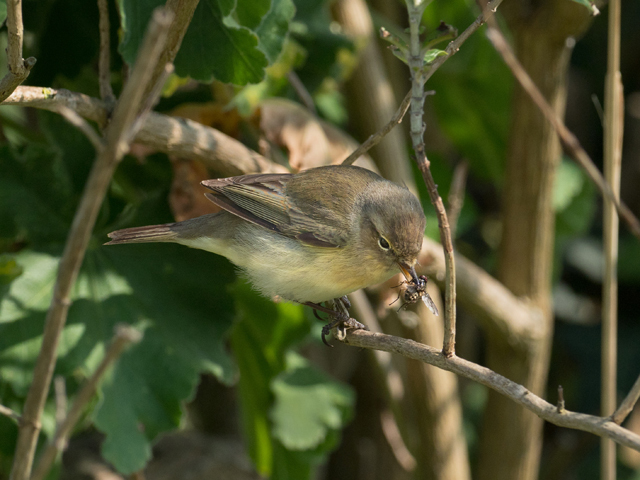 Visible migration had slowed compared to yesterday to just 200 Meadow Pipits per hour, however, the passage of Linnets had increase, and both Chiffchaffs and Willow Warblers were noticeably moving North along the cliffs. 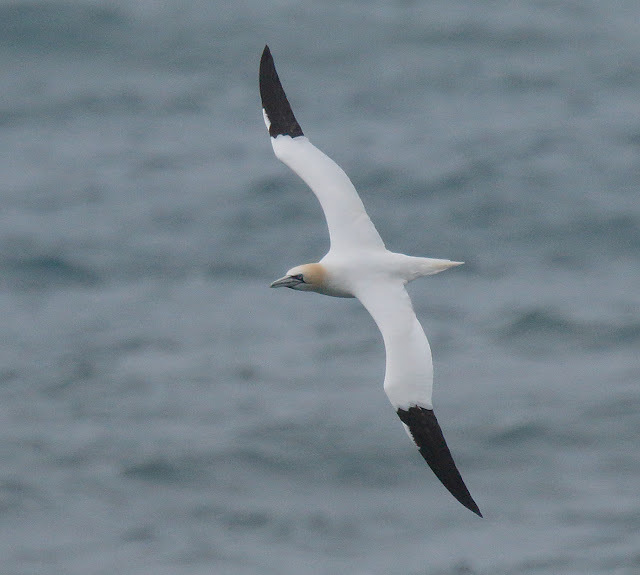 The sea again was quieter than yesterday but a pair of Artic Skuas, a Great Northern Diver and low double figures of the usual suspects were enough to provide entertainment for the morning. Perhaps its a bit melodramatic to be glad to see the back of the rain after such a brief spell, but at this time of year we don't want to be stuck inside working on the annual report (it will be out soon we promise!) 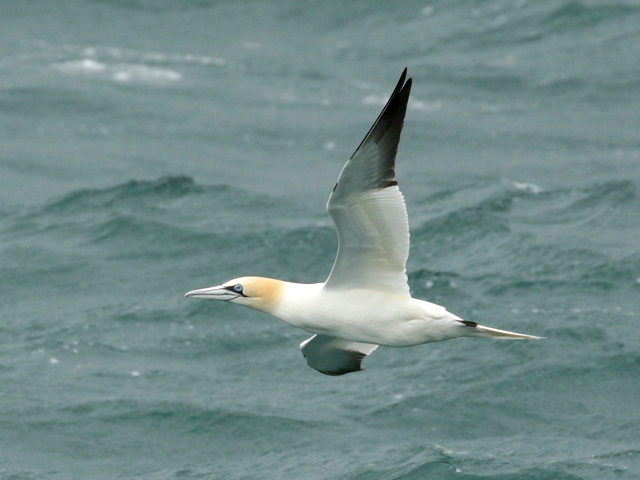 we want to be sat on the west cliffs watching hundreds of birds pouring through. 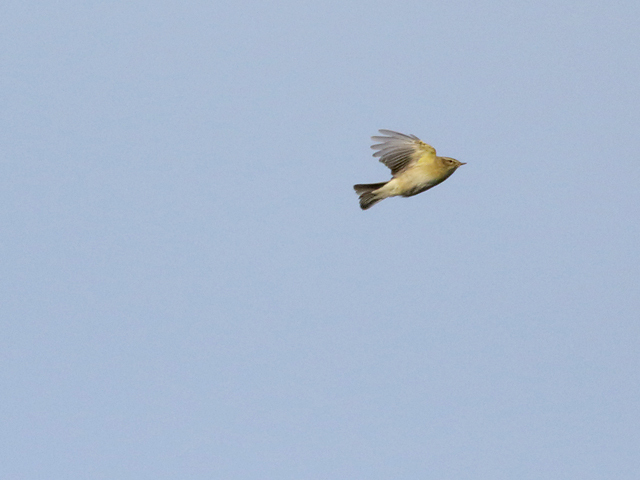 A productive 'vis-mig' session on the west cliffs provided 1,061 Meadow Pipits, 130 Linnets, 34 Swallows, 26 Goldfinch, 16 House Martins (the highest day count of the spring so far), 12 Wheatears, a pair of Chaffinches and singles of Yellow Wagtail, Black Redstart and Whimbrel in just over two hours. 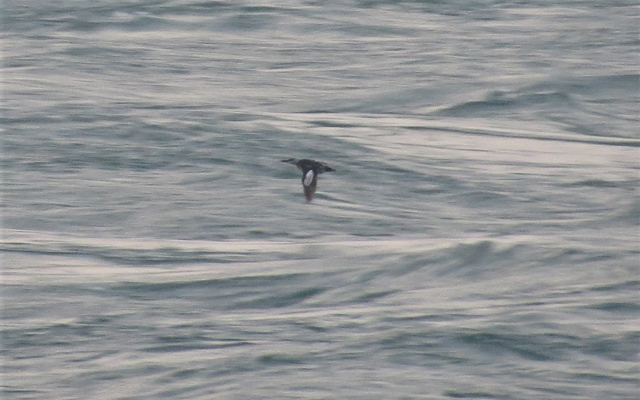 However it was the sea that stole the show today with the first real April sea-watch providing the Bill with 246 Common Scoter, 77 Sandwich Terns, 41 Manx Shearwaters, 13 Arctic Skuas, six commic Terns, four Mediterranean Gulls, three Red-throated Divers, a pair of Pintail and singles of Black Guillemot, Puffin, Great Northern Diver and Sanderling. The sea watch at Chesil Cove also added to the totals of aforementioned species but also added six Velvet Scoter (later round the Bill), a female Garganey a Yellow Wagtail and a Bonxie. 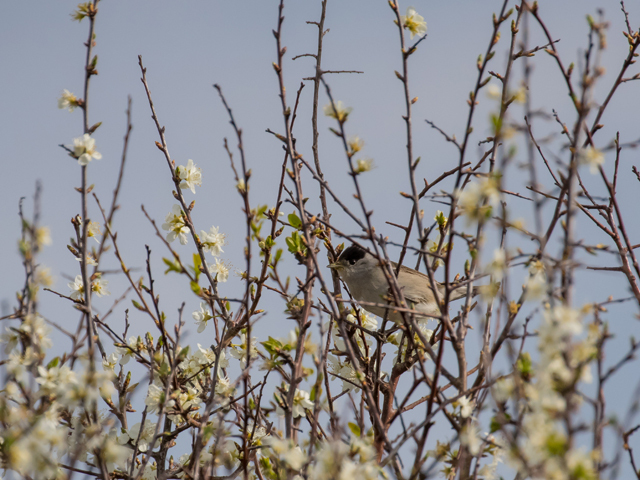 Land-based migrants were fewer and further between with the highlights including (presumably the same) Ring Ouzel at Barleycrates, a Firecrest at Southwell and a smattering of Wheatears, Phylloscs, and Blackcaps. 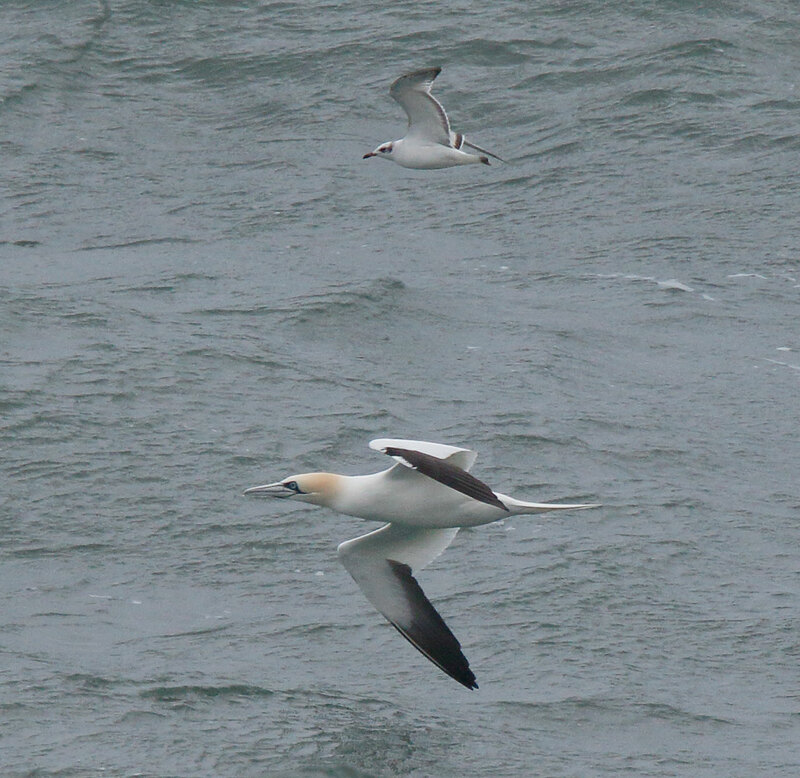 Miserably wet again today although with a fresh easterly blowing there was a welcome surge of passage on the sea. Both Chesil and the Bill were well-watched before the rain became too heavy, with the former returning totals that included 240 Common Scoter, 98 Sandwich Terns, 57 Kittiwakes, 18 Common Terns, 9 Red-throated Divers, 5 Arctic Skuas, a Black-throated Diver and a Great Skua; for the most part the Bill totals were a little lower - save for there being 6 Arctic Skuas and 4 Great Skuas - although 8 Puffins were an unexpected addition there. 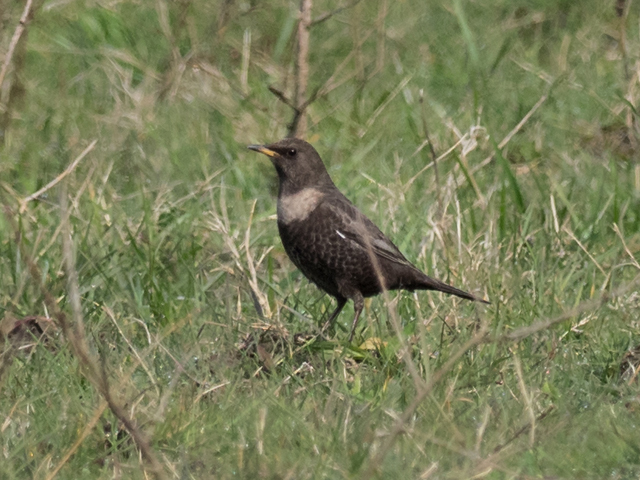 Limited coverage of the land turned up the first Common Sandpiper of the spring at Billy Winters, a Ring Ouzel at Barleycrates Lane and singles of Redstart and Black Redstart at the Bill. A rank, miserable day dictated by strong winds, heavy showers and occasional hail led to the worst species list of recent weeks. 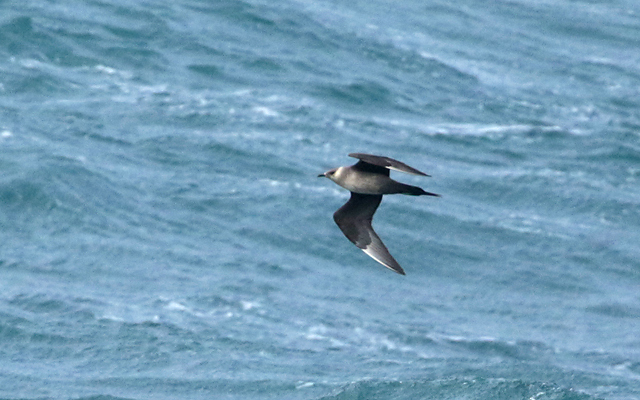 However, every cloud has a silver lining and todays was that the wind had swung round to the South-west allowing for a slightly more productive sea-watch. Manx Shearwaters produced the bulk of the sightings with 70 recorded, followed by 47 Red-throated Divers and 12 Common Scoter; Bonxies also put in a decent showing with six individuals, four Sandwich Terns were present (although trumped by the number in the harbour), a pair of Brent Geese went East and were followed by singles of Black-throated Diver, Puffin, Mediterranean Gull and Black-headed Gull. 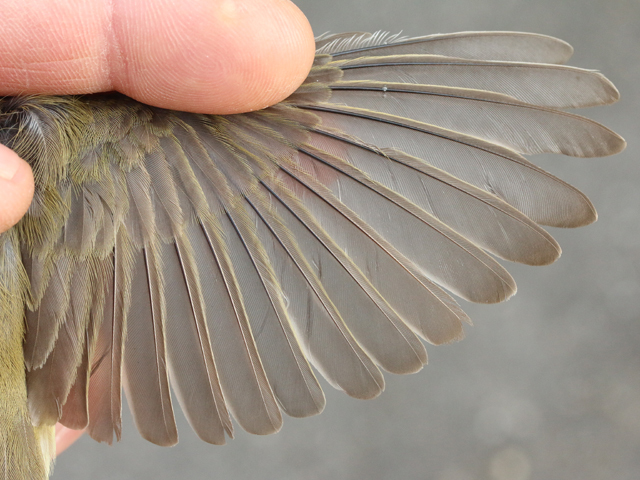 Land-based migrants were limited to a lone Swallow and low double figures of Blackcap, Chiffchaff and Goldcrest. Elsewhere on the island Ferrybridge saw the highlight of the day in the form of a fly-by Little-ringed Plover, the first Whimbrel of the Spring, a Curlew, six Sanderling, two Dunlin and 32 Ringed Plover. 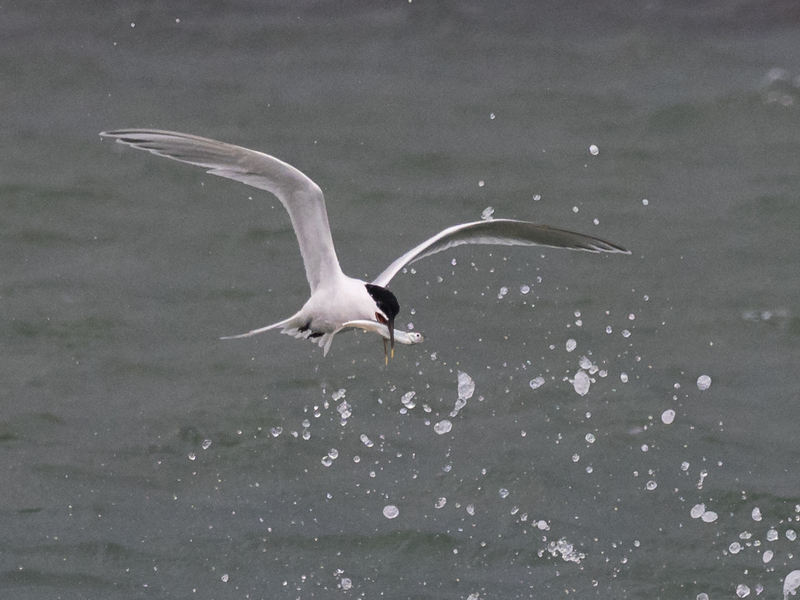 The harbour was also productive with 21 feeding Sandwich Terns and a lone commic tern. We seem to be experiencing all seasons at once at the moment, the clear blue skies of summer quickly washed out by thick cloud of torrential hail. 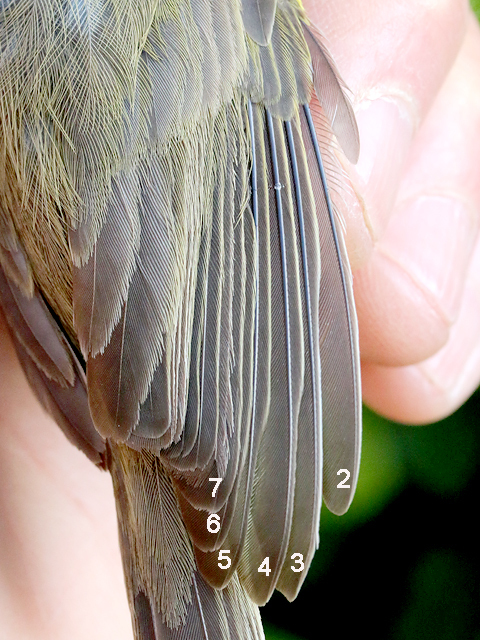 Unsurprisingly this limited the ringing list somewhat compared to yesterday, however, the Blackcaps put in a much more successful showing and were the most numerous migrant recorded both in the nets and in the field. 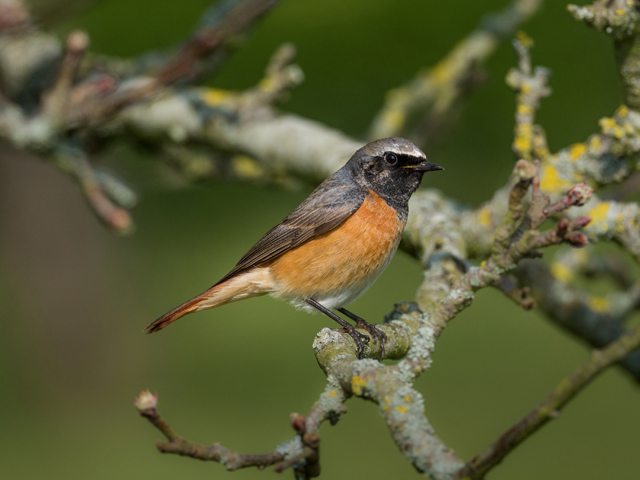 Around the Observatory, migrants included a Common Whitethroat, three male Common Redstarts, a female Black Redstart, 11 Wheatears, single figures of both crests and only double figures of both Willow Warblers and Chiffchaffs. 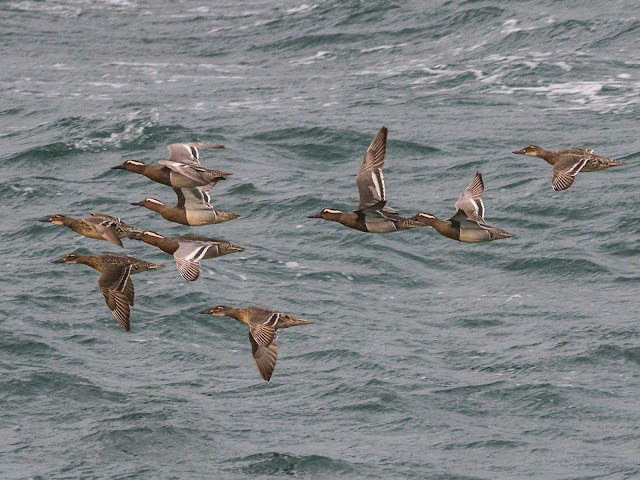 On the sea the passage seemed to be increasing with 23 Red-throated Divers accompanied by 30 Common Scoter, 30 Manx Shearwaters, a Sandwich Tern and a Brent Goose. 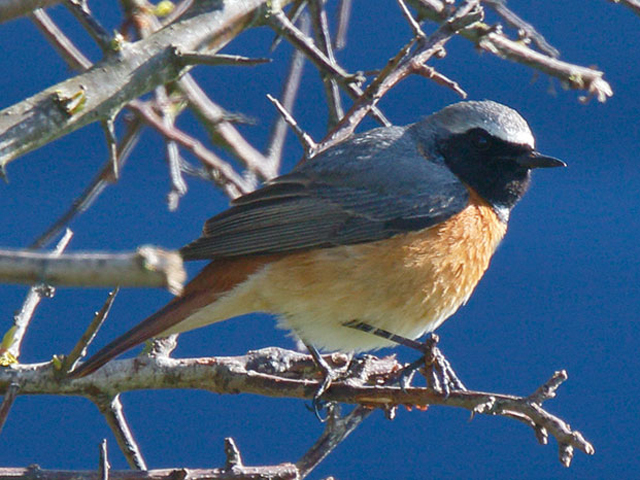 Elsewhere on the island, the first Hobby of the spring was sighted past Blacknor, Barleycrates/Reap Lane saw the Ring Ouzel, five Wheatears and a male Common Redstart and the Hump/Suckthumb was holding 55 Blackcaps, 35 Chiffchaffs, five Willow Warblers, another male Redstart and a Firecrest. 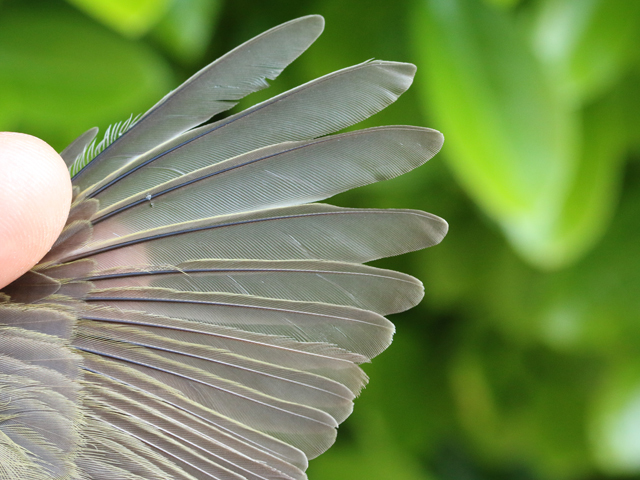 An interesting day if not entirely satisfactory as the results on the putative bird of the day will not be with us for a while. 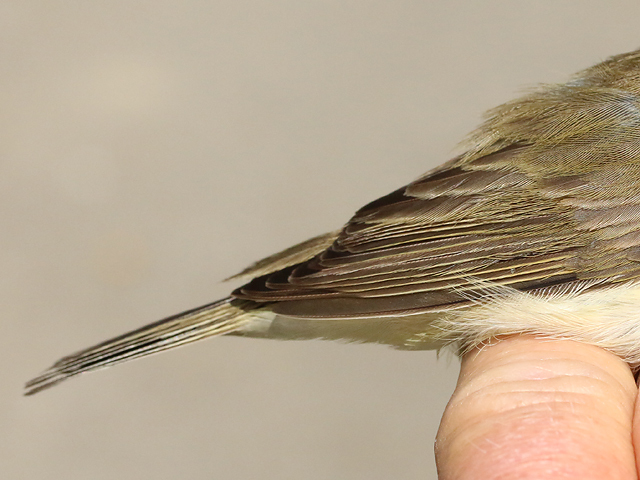 In amongst the passage of Chiffchaffs and Willow Warblers came a bird appearing to show the features of Iberian Chiffchaff (see below) but only time will tell. Passage was limited to the commoner species around the obs including seven Rooks, 41 Wheatears, a Redstart, and 18 Blackcaps; at least 3 Short-eared Owls were also still about at the Bill. The sea was more productive with 16 Common Scoter, 4 Red-throated Divers, a pair of Black-headed Gulls, a Sandwich Tern and four Shelduck (seven Carrion Crows were also seen passing by far out to sea). 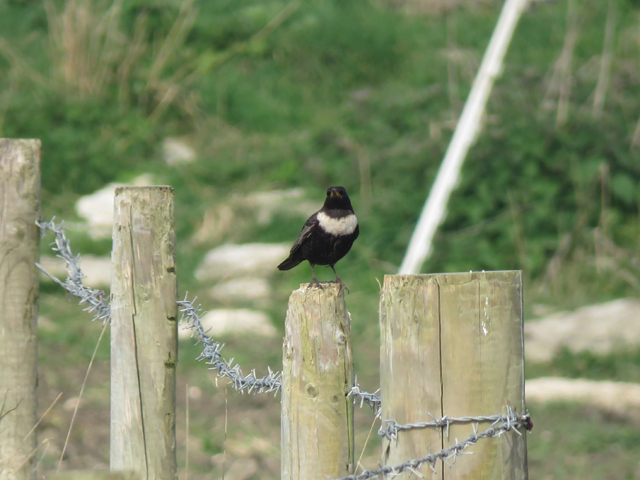 Elsewhere on the island, Reap Lane and the West Cliffs produced another (or potentially the same) Ring Ouzel, a fly-by Merlin, two Redstarts, 13 Wheatears and a three House Martins. Fortuneswell also scored big with a passage Red Kite that took a brief loop around the island before heading off once more. 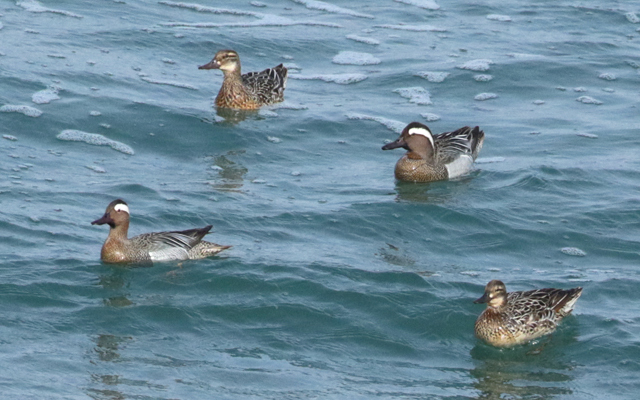 Finally, 4 Teal were settled off Chesil. On the immigrant moth front, a Diamond-back Moth was at Ferrybridge in the evening. Better conditions today with a cloudy start and a reasonable North-easterly led to the presence of a few more birds including another Osprey over Weston, a Ring Ouzel on the West Cliffs and the first Common Redstarts of the spring with four males and a female. Other commoner migrants were on the move in greater numbers than in recent days including 200+ Meadow Pipits, 30 Wheatears, 180 Chiffchaffs, 36 trapped Willow Warblers, a thin smattering of crests and a pair of Brambling. 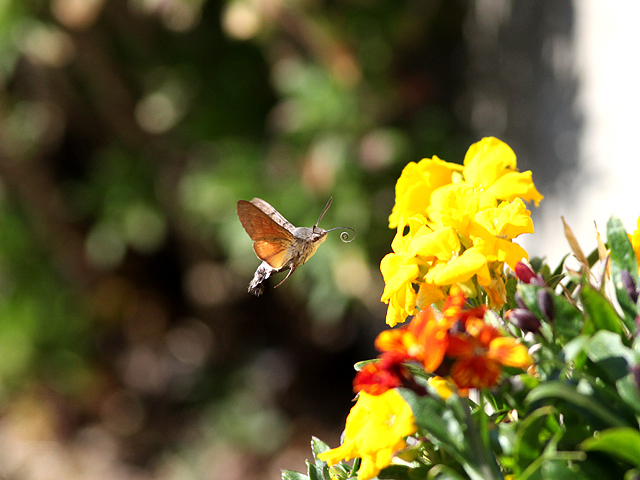 Hirundines were on the move but in lower numbers than yesterday. Once again Common Scoter led the charge on the sea with 80 past the Bill accompanied by a pair of Red-throated Divers and a Sandwich Tern. The non-avian highlight of the day was a pod of 15 Bottle-nosed Dolphins. Elsewhere on the island, a sea-watch from Chesil was much more productive with 34 Common Scoter, six Wigeon, a pair of Teal, two Shelduck, a Red-throated Diver and a Sandwich Tern.